This is month two of my 60 minutes per day for 30 days, plus I’m still restricting my sleep which means I didn’t read a ton this month. But it was good reading, what I did read. 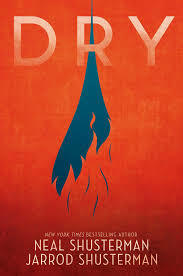 Young Adult: Dry is my top recommendation, though they were all good this month. This is a good story from a migrant’s perspective and an inspiring story for anyone. I didn’t personally connect with the illustrations, but they were good. Unfortunately, this picture book did not work for me. At first there seemed to be a scheme for how things would go. There were four pages ending with “Imagine” and then one page with “Imagine what you could do too.” I assumed this would continue through the book and when it didn’t, there was a tension built that I found off putting. There was also one page I didn’t understand what was being said. A picture book with many short sentences, this aptly conveys the excitement of a neighborhood game with great use color. Plus a nice author’s note. Delightfully limited color scheme and a great origin story of the phases of the moon. Mackenzi Lee continues the story started in The Gentleman’s Guide to Vice and Virtue, this time telling the tale of Monty’s sister Felicity, who longs to be a doctor in a time when women are most decidedly NOT supposed to be doctors. Her quest to become one has her throwing her lot in with a pirate (the daughter of a pirate king) and traveling all around Europe. This book is chock full of women things: adventure, friendship, and an examination of women’s place in the world. It’s full of great quotes about friendship, and work, and making decisions. The author also includes a very good note at the end addressing the historical fiction charge of “modern-day character, set in the past.” She includes a list of women in history who inspired this story. This was very well received by the Family Book Group; the kids gave it an 8.833 and the adults a 9.281 for an average of 9.089. In addition, the novel-in-verse format worked very well for discussion as we could flip through and find things to discuss that caught our eye. That, combined with the gripping plot, made this a great book for discussion. Southern California, after years of drought. One day, the water is shut off. The taps are dry. So begins our story, which follows several people: Alyssia, the soccer-playing regular girl; Garrett, her little brother; their neighbor Kelton, the son of a “prepper,” a man who has been waiting his entire life for the moment the world devolves into crisis and he and his family can survive. As people become thirsty, they also become desperate. And desperate people make life dangerous. This book has incredible pacing, does a great job with separating the kids from the adults in an organic way, and I never could predict the twists and turns. My one problem with the book was that I was regularly confused about who was talking due to lack of distinct voices, but that was a minor quibble. Neil and Jarrod Shusterman have written a taut novel with high stakes that will have you turning pages, and also heading to the store to make sure you have your emergency supply of water. A graphic novel of Krosoczka’s growing up years living with his grandparents due to his mother’s drug addition. I enjoyed his story, especially the way he pointed out the differences in your life when your grandparents are your parents. The color palette was great even before I read the note at the end that explained the inspiration and that same note had a good plug for counseling/therapy. The grandmother was the one so-so part of the story. Krosoczka seemed to give her a pass for her (mostly) functioning alcoholism. Perhaps the love that’s apparent on every page blunted some of her behaviors for him. They were plenty unsettling for me, though. I tend to prefer books with a romantic plot be told from one person’s point of view because it’s more interesting to me to have a limited perspective and wonder along with the character what the heck is going on with the other person. Woodson uses two narrators, but uses different points of view for each of them. We learn about Ellie’s story directly from her, and Miah’s narrative comes in third person. This was very interesting. I loved how spare the writing is. Jacqueline Woodson is a master at painting a mural with a handful of words. The book also is a sweet romance, and captures the tentativeness and awkwardness of adolescent love. There’s some good stuff about dating outside of your race and general hazards of being black in America. This is a short, calm, quietly beautiful book that is worth reading. This book was designed to be read in about an hour and delivers on that promise. It’s the story of CD Baby, an online music store that gets the music of independent musicians to fans that want to buy it. Derek Sivers is not your standard entrepreneur which makes reading about his business–now former business–very interesting. He’s a man who knows what he wants, and is willing to go about getting it in unique ways. It’s also a story of what not to do once your business gets successful. Ah, Thanksgiving week. The week where I was going to catch up the hours I missed because I was going to take off work if it wasn’t busy. But it was busy. 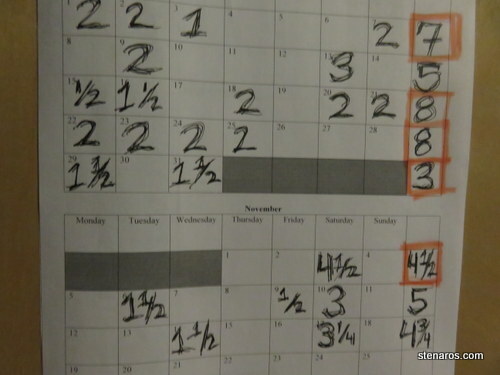 Monday, Tuesday, and Wednesday I was planning on getting 3 or so hours done per day, and I did not. 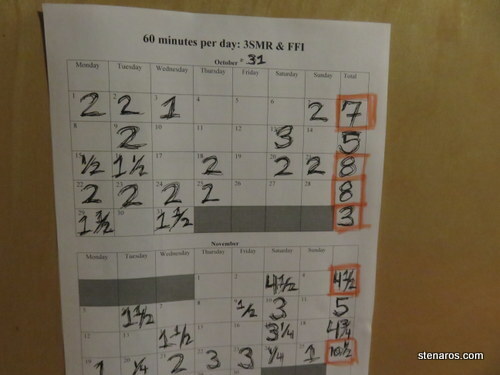 I did do 10.5 hours this week (Thanks, Thanksgiving and the day after!) and feel good about that. First off, I got my new monitor before Thanksgiving. The new monitor makes everything much easier. I also learned that visiting Jantzen Beach on the day before Thanksgiving means excellent service because no one is there! This week was a big Mailchip week. I made a popup to get people to subscribe, I made a campaign that should send an email every time I post, I made a campaign that should send birthday greetings. I also made my affiliate and subscriber blocks into reusable blocks. No more typing and linking. I just choose the block and it’s populated. This is a very big win. 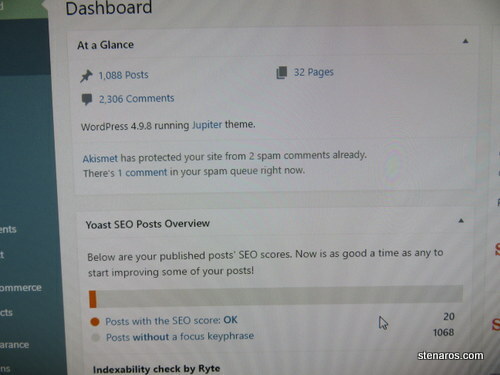 Thanks WordCamp, for having someone who mentioned this in passing, otherwise, I’d still be typing them for each post. I also did some poking around to see if I wanted to do content management for social media. I decided I would not for now. I also learned how to post to Instagram from my desktop computer. It’s very tricky and involves using Google Developer Tools. I’ve got one more week that is really only a Monday–Friday. Will I catch up with my hours? 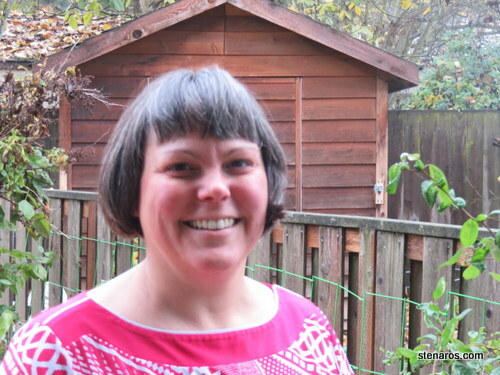 I need a good picture of me for the new websites and so I spent some time in the backyard attempting a timer photo. There were a lot of medicore results. Photos are hard. This was perhaps the best one, but I got annoyed at several things: the background, my shirt, the shadows on my face, the fact that I’m not 20 anymore, etc. I did some test photos while bundled up, adjusting the zoom and the tripod and such. For those I made funny faces, this being my favorite. A photographer will have to be called. The daunting task of updating Three Sentence Movie Reviews. It was very easy to import all my 1000+ movie review posts. Thanks for that, WordPress! And now I have 20 phrases with an SEO score and 1068 without a focus keyphrase. If I did two a day, I could have this task done in a year and a half. And two a day seems like a tall order. Posted on November 22, 2018 December 27, 2018 Categories All (-ish), To Occupy my TimeTags blogs meLeave a comment on The daunting task of updating Three Sentence Movie Reviews. My mom bought a turkey butter sculpture for Thanksgiving and she made the mistake of letting it soften before trying to remove it from the package. We ended up with a headless turkey at our table which seemed rather appropriate and had me bent over laughing. 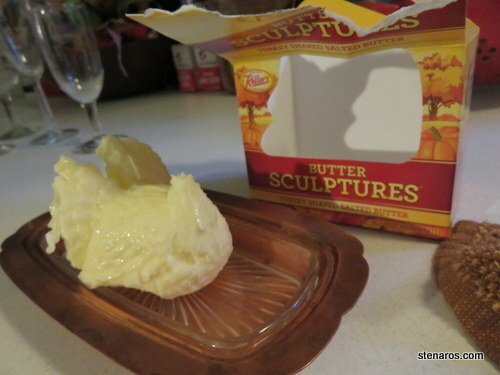 Lesson learned: take those butter sculptures from their packages when they are still cold! 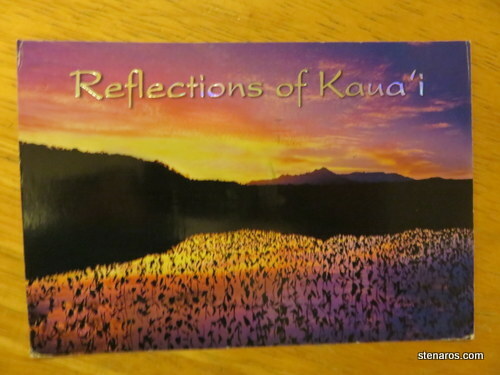 My Aunt Pat sent me a postcard from what she says is her last trip to Hawaii. The Aunts stayed in a cottage that was built in the 1930s and is part of a former estate on the ocean. It sounds very nice. And one more postcard from Iowa rolled in. I’m not sure where it was hanging out all this time. But here it is! Another week with not enough hours in it. Part of the problem was that I had something Monday, (Librarian Book Group) Tuesday, (Business Fundamentals I) and Thursday (Birthday dinner, REI shopping) nights, which precluded me getting any work done on those nights. Business Fundamentals I is the class I am taking through Mercy Corps. The first class was last week and it was great! It was also three hours long, something I hadn’t quite realized until I sat down at 4 pm and realized 4-7 pm is three hours, not the two I was thinking. So there will be no blog work on Tuesday nights for five more weeks. What did I accomplish this week? Ads finally showed up on the site! But they are only on the front page, not on any individual post pages. I poked around to try and figure out why they are not there, and eventually decided to wait a few days to see if they appear. That’s what happened with the front page. I also wrote two posts, since I’ve pledged to myself to be officially “live” on December 1. That means getting up all the posts from October that haven’t been written since I’ve been working on the website. I also decided I should figure out this SEO thing before I go any further with tagging posts. I starting reading an article et voila! my time had ended. During my next session. I wrote two more posts, edited the previous posts I had written, and wrote drafts of three more posts. I’m still working on the flow of how to get things written and published. I read more about SEO and feel like I have a handle on it. I also signed up to be an Amazon Associate, so I can have affiliate links on my site. I then went through and added affiliate links to my September top movies post. It took a long time. One of the things that makes tagging old posts and linking to Amazon products a very slow process is that my current monitor is 17.5 inches. I can only have one window visible at a time, which means I have to toggle back and forth a lot. Since I have three monitors at work (one very, very large) I’ve gotten used to having at least three open windows at once. Deciding that this one-window madness could not continue, I bought a 24-inch monitor. It should be available to pick up at Best Buy next Saturday. My mental state this week has not been very good. I was disappointed not to meet my seven hour goal this week, and disappointed to not meet that goal for two weeks in a row now. Plus, I had a small flame of hope that I could avoid working at the paid job next week, but unfortunately, the work rolled in, so I must go to my day job on Monday, Tuesday and Wednesday. This more or less crushes my hope of catching up, hours-wise. I’m also very tired. I was hoping to become more rested over nine days of not going to work. Now that resting must happen over four days of not going to work. Which, since it’s four days and two of those days are a weekend just like any other weekend, and the other day is full of family obligations, it feels like I must do all my catching up, resting and other various chores (Decorating for Christmas! Making a baby blanket! Shopping for the fall wardrobe! Getting a haircut! Writing back to people who have written me! Etc!) on Friday. So I head into next week feeling defeated. I’m making progress, but I feel like falling behind. John Green’s video then, was quite on point. John Green says that acknowledging it helps (I’m not really feeling that). He also says that prioritizing the most important relationships in my life is important. Okay, then, it was good that I spent time with Matt, and sang karaoke when I could have been doing work on the websites. And I should not begrudge the loss of my Thursday to spending time with my family. He further says I should remember what actually matters. Which I guess is that I’m making progress, even if it’s not all the progress I want to be making. I don’t really feel that, John Green. But I appreciate you for mapping it out. Still not sure when I’m going to get a haircut. Something fun about starting a business? 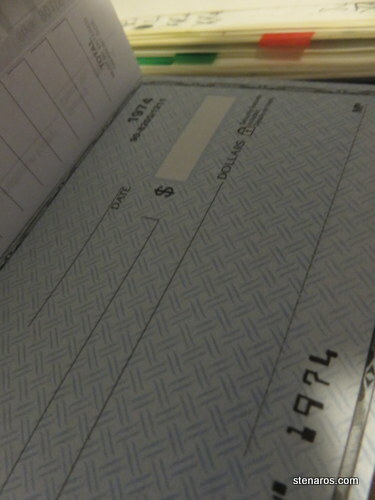 Having the first check number in your business checking account be the year of your birth. Posted on November 14, 2018 December 17, 2018 Categories All (-ish), To Occupy my TimeTags projectsLeave a comment on Something fun about starting a business? This was the week where I got very tired. I had already gotten very tired last week, on Sunday when I collapsed around 4 pm. I used Monday to finish off the things I would have done Sunday night. On Tuesday I downloaded my new 3SMR logo and put it on the site in all the places. I did not love it as much, once I got it up. The spacing is a little odd. But the whole thing cost me around $50 and it will do for now. I also made a foray into getting social media sites set up. That crashed and burned due to Facebook stuff. So I turned to revising the display style of the movie pages. Because starting a website when you don’t know much about what you’re doing means redoing a lot of stuff. On Wednesday I sat down to get work done and I just couldn’t. I ended up watching three episodes of Anne with an E and eating oyster crackers. Oh! On Friday I had 30 minutes at work where there was suddenly nothing to do, so I spent that time looking at other financial bloggers websites to see how they were set up. I took notes on four of them before the work rolled back in. So I got some work done on Female Financial Independence! That was great. On Saturday I spent a solid three hours and accomplished much. I now have a Twitter handle, a Facebook page and (possibly) an Instagram account for 3SMR. And they all have the same name! @3SMReviews. I also finished revising all the website page layouts. They now all display 30 posts, and then go to pagination. In that process, I discovered four pages I hadn’t yet set up. I also now have a Mailchimp account for 3SMR. 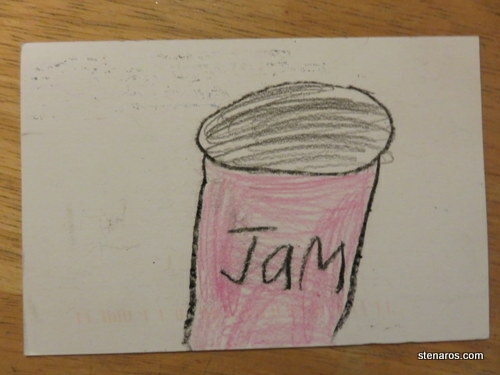 Yes, you can be on my mailing list. I also put a sign up form on the front page of 3SMR. The last thing I did was poke around to see why the AdSense ads aren’t showing up on the site. The code is in the headers, but still: nothing. I’ll figure that out soon. 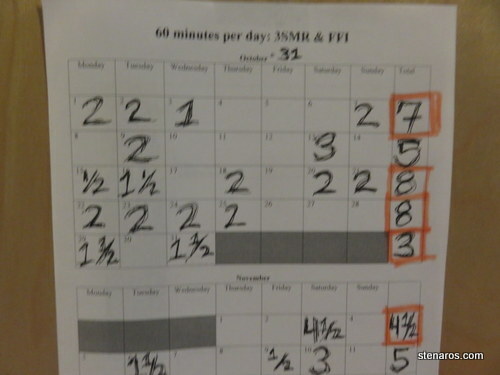 My hours this week totaled 5, which has me 1.5 short for the month so far. But I can probably make up that amount in the remaining days, provided I am not too tired. 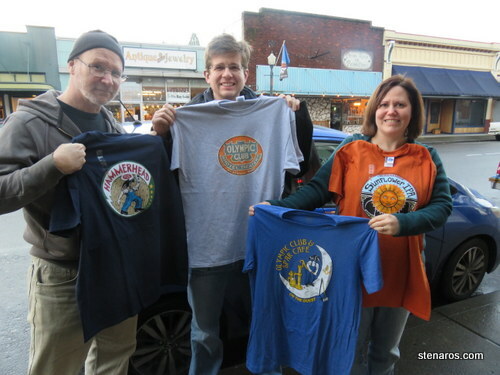 Laurie and Burt are getting closer to finishing their second McMenamins Passport, so it was time to make the Washington run. 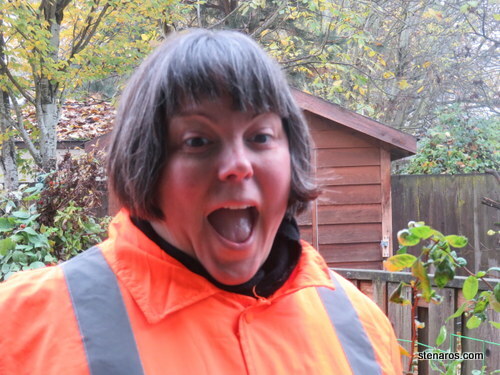 We drove to Bothell to start at Anderson School, then did Seattle, Olympia, the Olympic Club in Centralia and then visited the new site, Kalama Harbor Lodge. 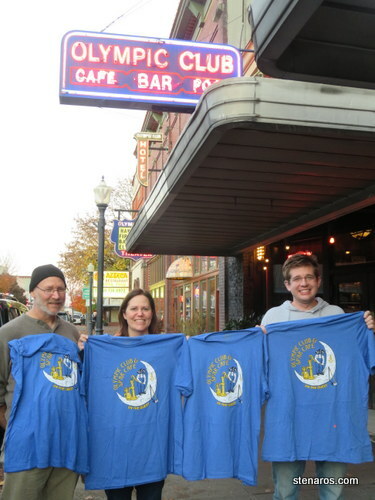 Here’s a picture of us with our Olympic Club prize. For comparison, here’s a picture of us from January 2016, when we first made the Washington run. Kalama Harbor Lodge is the newest McMenamins property and is quite nice. It was stuffed full of people when we arrived and I’m not sure if that was a function of the three-day weekend or if the Kalama area is under-subscribed for lodging and restaurants. Our visit did solve one mystery for me. When I take the train to Seattle, there’s always a stretch where there is a lovely park and I’d always wondered what park it was. It turns out it’s the Port of Kalama: Marine Park & Rasmussen Day Use Park and is right next door to the McMenamins. We got to walk through it, because one of the stamps needed for this site is at a small pub a half mile away. It was dark and kind of chilly, but was a nice walk. The website for the hotel has also shed some light on why they would build a hotel in this particular location as it seems to be in the middle of nowhere. Aside from antiquing, the newly opened Ilani Casino is 15 minutes away. This will probably be our last all-of-Washington-in-one-day journey. Once the Tacoma property opens it will take longer than 12 hours to get to all the properties, and that makes for a too-long day. Laurie had the good idea to stay in one of the properties and do some on the way up and some on the way back. So it might be that you would hit Anderson School and Seattle and then stay in Tacoma. Then get Olympia, Centraila and Kalama on the way back down. Because we live in Portland, the Vancouver properties are easy to pick up, so they don’t need to be a part of the journey.